Lecco is the city that inspired the Italian poet Alessandro Manzoni to write one of the most famous novels of Italian literature , "The Betrothed ". Situated on the shores of Lake Como, a few kilometers from Como, it is reachable via the Milano-Colico highway that makes this town very close to Monza and Milan city center. The most famous ski resorts in the Swiss Alps, including St. Moritz, can be reached within an hour and a half drive. The city of Lecco is served by the railway which connects Monza and Milan. Close by are the Milan Linate and Orio al Serio airport used by the top low cost airlines. The Malpensa airport is 80 km. Finally with the navigation of Lake Como you can reach and visit all the most characteristic places of Lake. We, at Engel & Völkers Lake Como, are actively working in Lecco. For further information on the properties in our portfolio please click on this link: ﻿properties in Lecco. New Private Residences Lecco e Lago di Como! Welcome to the wonderful Lecco shore of Lake Como! We are proud to present to you the new edition of “Private Residences”. 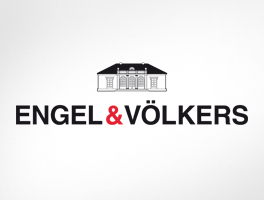 For more than 40 years, Engel&Völkers has guaranteed a high level of Real Estate consultancy, always ensuring competence, passion and exclusivity. 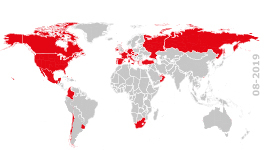 Our brand, a world leader in the field of prestigious properties, extends all over the world with a network of 800 agencies in 33 countries. Many towns that offer visitors fabulous views and great emotions characterize the Lecco territory. The most well known and famous towns are surely Bellagio, Varenna, the medieval village of Vezio with its castle, Mandello and the Moto Guzzi Museum, the Piona Abbey (architectural jewel), Bellano famous for the Orrido, the beaches of Onno and Abbadia Lariana. The mountains of Lecco, the Grigne and the Resegone are the ideal setting for lovers of trekking and climbing, the countless paths offer suggestive routes immersed in nature even for the less experienced. If you are also looking for your house on the Lake, browse through our Private Residences magazine. A video is available that will introduce you to the area of Lecco and its surroundings and the endless possibilities that our area offers. Enjoy the video!